Planning a trip to the ‘land of smiles’? 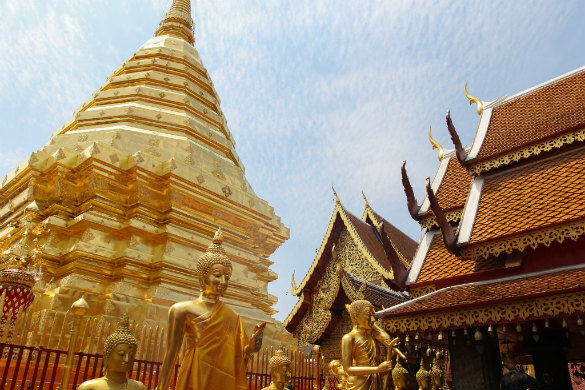 Discover some of the countless unmissable things to do in Thailand before you go. From historic sites to the incredible local culture, you’ll be spoilt for choice when deciding what to see and do. 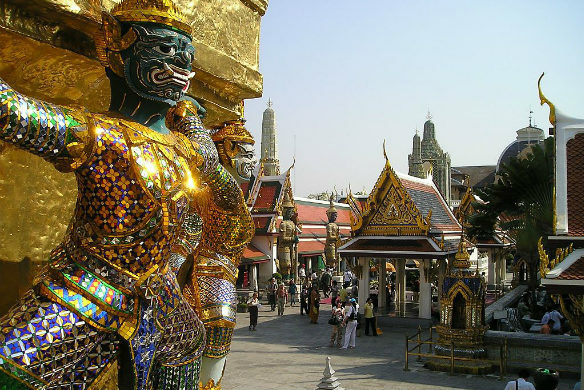 Once home to the country’s kings, Bangkok’s Grand Palace is a Thai attraction that shouldn’t be missed, with temples, throne halls, government buildings and other fascinating structures scattered throughout its grounds. Among Thailand’s most popular attractions, construction of the Grand Palace complex began in 1782 after the country’s capital was moved from Thonburi to Bangkok, and served as the royal residence through to the 1920s. Today, the palace grounds and four of its buildings are open to the public, making it easy to learn more about the country’s recent imperial heritage. Visitors are expected to dress conservatively, so be sure to cover up before you visit. Damnoen Saduak Floating Market, Thailand. Image Credit: Roberto Faccenda / CC by SA 2.0. Perhaps the most popular and best known floating market in the country, Thailand’s Damnoen Saduak Floating Market is a great place to head if you’re wanting a taste of traditional Thai life. Every morning, vendors and farmers from across the region secure their spot along the canal and ready themselves for market goers looking for fresh produce, tasty local dishes and souvenirs. 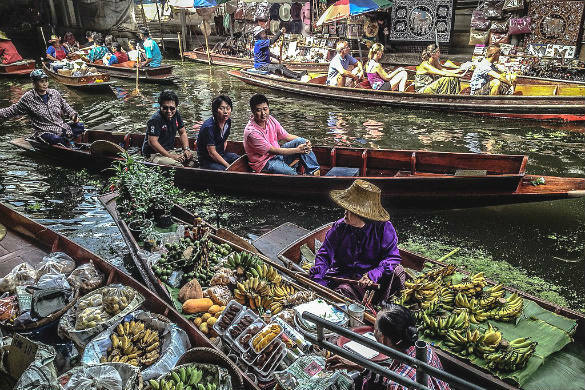 Filled with colour and all manner of goods, a morning exploring the floating market is a fantastic way to start the day and sample some delicious local food. Join a guided tour, or, if you’re visiting on your own, get in early as the market does tend to get busier as the morning progresses. Khao Yai National Park, Thailand. Image Credit: BerryJ / CC by SA 4.0. While it can be easy to spend a holiday exploring a country’s major cities or unwinding in a plush resort, there’s nothing quite like returning to nature and embracing the opportunity to see some of the unique plants and animals that call the region home. There are plenty of ways to explore Thailand’s natural beauty, but one of the best ways is with a visit to a national park, such as Khao Yai National Park. 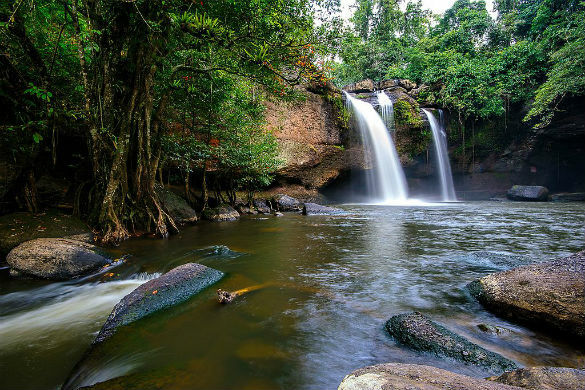 One of the largest of its kind in Thailand, Khao Yai National Park is home to animals as diverse as elephants, gibbons, macaques, porcupine and otters, and encompasses a variety of terrains, from lush rainforests through to wide open grasslands. Great to explore by yourself or with the help of a local guide, a visit to Thailand’s national parks is an experience you won’t forget in a hurry. Wat Praha That Doi Suthep, Thailand. Image Credit: whyyan / CC by 2.0. With more than 90% of Thailand’s population identifying as Buddhist, the fact that the country is home to tens of thousands of wats (Buddhist temples) isn’t at all surprising. Although some may be quite tame in terms of their architecture and decoration, there are a handful that are truly awe-inspiring. Wat Phra That Doi Suthep, found a short drive from Chiang Mai, boasts stunning northern Thai architecture, ornate adornments and incredible views of the surrounding region, while Wat Arun, a 17th century temple that stands on the western bank of Bangkok’s Chao Phraya River, is perhaps best known for the tall, tiled spire that towers high above its neighbouring buildings. These wats are active religious sites, so be sure to dress conservatively and respect those who have come to worship. 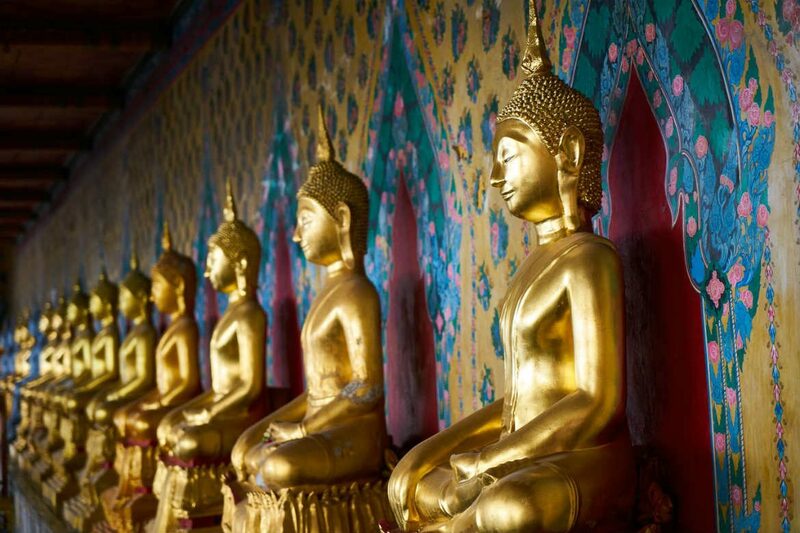 Once home to grand empires and kingdoms, Thailand’s history is rich, intriguing and incredibly well worth exploring. Although there are plenty of different ways to get to know the region’s heritage, one of the easiest ways to do so is with a visit to one of the many incredible historic sites scattered across the country. 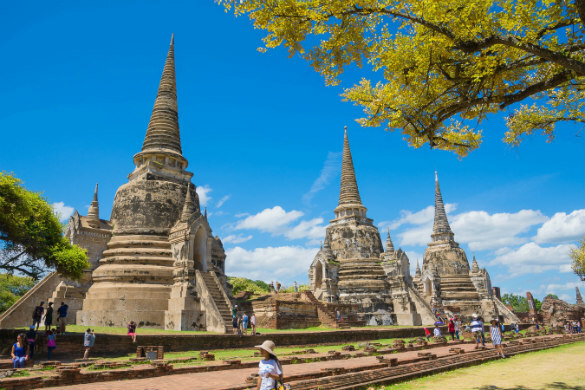 Some sites that stand out include Ayutthaya, located around 85 km north of Bangkok, and Sukhothai, found around 300 km south of Chiang Mai. Both sites served as former capitals and now stand as impressive monuments to the communities that once lived and worked in the area. Although their former glory may be difficult to picture from the ruins left behind, their beautiful architecture and grand scale are nothing short of breathtaking. Chatuchak Weekend Market, Bangkok, Thailand. Image Credit: JJ Harrison / CC by SA 3.0. 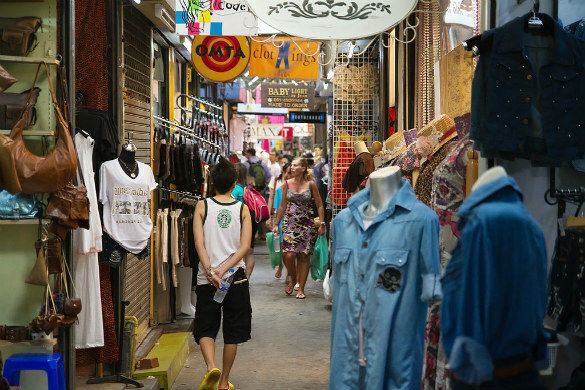 If you love a spot of retail therapy, you can’t go wrong with Thailand’s markets. Stocked with everything from fresh food and local delicacies to clothing, souvenirs and handmade goods, there’s so much to see and discover throughout the country’s vibrant marketplaces. Found across the country, there are plenty to choose from, with Bangkok’s Chatuchak Weekend Market, JJ Green Night Market and Asiatique The Riverfront considered to be among the best. If you’re set to travel beyond the capital, don’t despair, there are fantastic markets found in Chiang Mai, Krabi, Hua Hin and beyond. Koh Phi Phi Island, Thailand. Image Credit: Ilse Reijs and Jan-Noud Hutten / CC by 2.0. 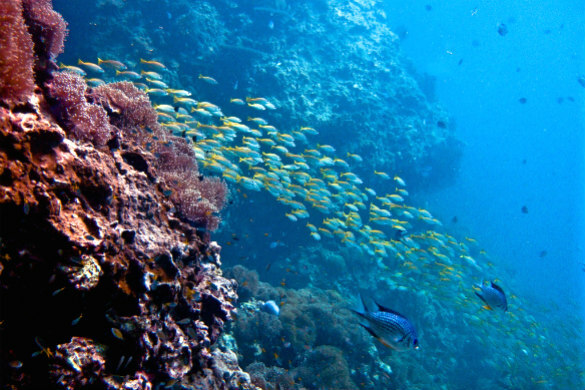 Home to several thousand kilometres of coastline and dozens of islands, it comes as no surprise that Thailand boasts some pretty great snorkelling and diving sites, and an abundance of fish, coral and other fascinating creatures. Some of the best are said to be found at Ko Talu, Ko Phi Phi, Ko Lipe and Ko Similan, with each site offering something a little different in terms of marine life, underwater terrain and the overall experience offered. With so many beautiful stretches of coastline to choose from, it’s easy to find one to match your interests and skill level. If you’re not confident snorkelling or diving on your own, or are wanting to find the best spots, consider setting out on a diving tour with a local company that knows the area well. 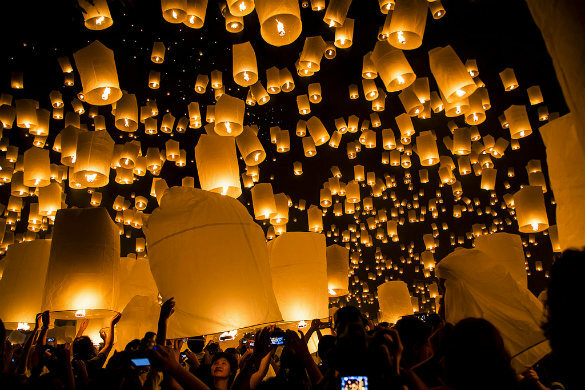 Yi Peng Festival, Thailand. Image Credit: John Shedrick / CC by 2.0. Tied to the lunar calendar, religious beliefs and local traditions, Thailand plays host to a number of fantastic festivals throughout the year. If you’re unsure of when to time your visit, do some research around the events that interest you, and you may just be able to add another unforgettable experience to your holiday. While there are plenty of celebrations to choose from, some popular festivals include Songkran (a fun-filled three day water festival), Yi Peng (a festival that incorporates the release of thousands of paper lanterns) and Chinese New Year in Yaowaraj (Bangkok’s Chinatown). One of the best things about travelling the globe is the opportunity to sample some of the delicious dishes that help to make a destination unique. Thailand is certainly no exception to this rule, and for good reason. 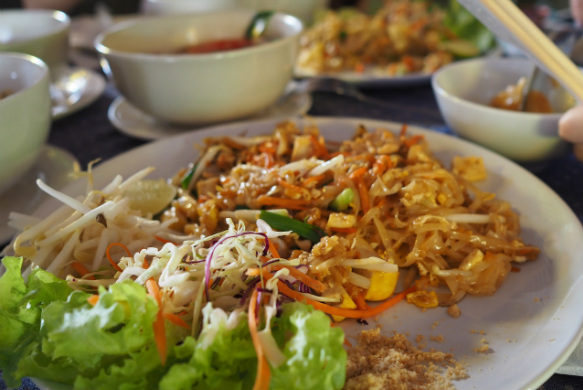 From fragrant curries paired with rice and world famous noodle dishes through to delicious soups and incredible salads, Thai cuisine draws together unique flavours and satisfying balances of sweetness, saltiness, bitterness, sourness and spiciness. Try dishes served up by popular local dining spots or join a cooking class and learn how to prepare your favourites at home. Ready to discover all the incredible things to do in Thailand? Book your place on a Southeast Asia tour from Webjet Exclusives today!